People checking Google Maps for the exact location of New Zealand's Parnell Cricket Club were probably surprised to find a cat pointing in the right direction. No one knows how the outline of the cat found its way to Google Maps, but one theory is that a hacker took advantage of the Google policy that allows users to add hiking trails it might have overlooked. “We were aware that cats were trying to take over YouTube, but we didn’t realize it was extending to Google Maps. We’re looking into this,” New Zealand head of communications Annie Baxter said in a statement. 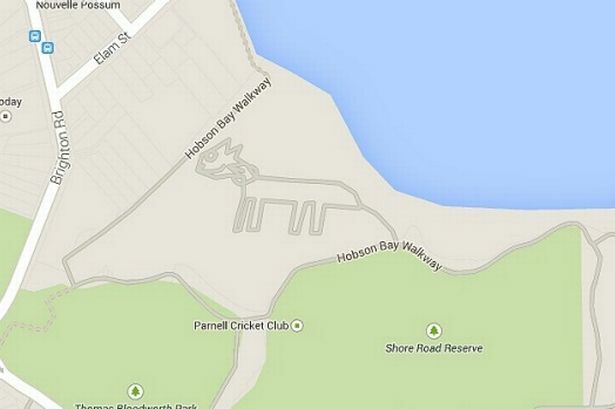 The cat has since disappeared from the cricket club's location on Google Maps. But keep an eye out. He just might appear again, and if you're lucky, he'll be in your neighborhood.